As human beings, we love our canine friends very much and a good collar is badly needed for their overall safety. It helps to control, track and train your dogs about all good manners. It should be made of a comfortable and skin friendly material. You also should have enough expertise to use the collar in a proper way. The best collars assist more than the basic purpose which we will describe briefly in this guide. We have spent more than 72 hours researching and checking 50 different types of collars and observed used materials, sizes, different colors and various styles. Then we’ve selected 10 best dog collars, those scored high points in every category and proved enough efficiency to makes both you and your dog’s life easier. Pet proprietors who like embroidered things, GoTags is best for them. It is the great identification for your pet comes with your dog’s personalized name and phone numbers permanently embroidered onto the long-lasting collar. It has four different sizes and very easy to adjust with the accurate circumference of your pet’s neck. It is made of high-quality nylon webbing, a secure plastic side release buckle for easy and quick release, and a stainless D-ring for leash attachment. The edges of the collar are smooth and comfortable to use. To define the accurate size of your dog’s neck, wrap it snugly by tape and take the measurement. Then adjust the collar length range for a comfortable fit. Suppose, if the circumference of your dog’s neck is 14” inches then select a 12”-17” inch adjustable collar. There are 15 embroidery thread color and 5 basic colors to choose from blue, black, orange, pink and red. Within White, Black, Neon Pink, Baby Pink, Navy Blue, Sky Blue, Red, Gold, Turquoise, Purple, Neon Yellow, Neon Green, Neon Orange, and other more colors your only concern is getting the suitable collar regarding your dog’s compatibility. If you’re looking for a budget-friendly collar which is secure and sturdy but not reflective, then the Blueberry Pet Classic is the best option. It is available in a range of stylish solid colors including red, black, purple, pink, blue and more, and suitable for dogs have a neck size up to 26”. The Blueberry makes for a simple and effective way to put the collar around your dog’s neck. You can also customize the size if needed. It is designed by heavy duty nylon fabric with eco-friendly plastic buckles and chrome-coated durable metal D-ring for strength and durability. The neoprene inner layer of the collar confirms the good comfort for the dog when pulled forcefully. We do recommend this classic collection to really complete your dog’s fashion for everyday wear. The wide range of colors allows pet owners to find out the best suits for their dog’s coat or harness. Thanks to the Gentle Leader for ensuring awesome benefits of stress-free walks for dogs. Headcollar is also known as Head halter looks like a muzzle but use in a very different purpose. The design helps to dog owners to communicate with their pet very easily only by pulling the leash. It is the best choice for controlling general aggression of dog’s behavior, anxiety, and obsessive disorders. It is also effective to protest lunging, jumping, and excessive barking. Most of the dogs adapt with this collar very easily and respond quickly within minutes. Petsafe made this Head collar from lightweight nylon which is extremely durable with a neoprene padded nose loop for total comfort. It features a two-loop design where one loop goes around the dog’s neck and the other one around its nose. Both the neck strap and loop adjusted separately and freely to make the custom fit. It is one of the most versatile head collars on the market available in five sizes and suitable for dogs from 5 to 130 pounds. This USB Rechargeable Collar is fantastic for keeping your dog visible at night. You can always use this collar on your dog’s neck and go out for a walk or a run in darkness. It is a flexible strip of LED light ensures your dog’s identity during the night. It also improves you and your dog’s safety and makes easy for drivers to see the pooch on the road and take the necessary steps from a large distance to preventing accidents. Moreover, Illumiseen is the best and biggest in the LED dog collar industry and constructed of durable materials so that you can rely on it to last your dog’s lifetime. A small USB port built into the collar dedicated to charging the rechargeable battery. It becomes fully charged within 1 hour and lasts for multiple walks means more than 5 hours’ worth of light. There is a 27 inches long adjustable strap attached with the collar which is suitable for any breed and size of the dog. This LED dog collar also comes with 6 different colors to choose from – bright orange, ruby red, neon blue, cotton candy, neon green, and sunburst yellow. This soft touch leather collar ensures extreme comfort for your dog. It comes in small to extra-large size and very easy to pick the right one for your dog. The total length of the collar is 24 inches, it is soft padded and beautifully stitched reinforces against wear and tear. Additionally, it has a two-tone design and looks very fascinating after putting the dog’s neck. There are several variations of colors and you can choose any one by matching with your dog’s fashion. Along with various colors, it has also 3 different sizes so that you can absolutely adjust the measurement. The buckle is made with solid brush golden metal hardware which is scratch free, rust resistant and ensures maximum durability. Another excellent feature is, this collar comes in a generous lifetime guarantee and allows returning the collar anytime for any reason. So, undoubtedly you can depend on his collar due to its construction and longevity. Herm Sprenger Metal Prong is used as a dog training collar suitable for large breeds like stubborn and those dogs show aggressive behavior. Most cases prong collars look like harsh but very efficient as a training tool, especially for destructive dogs. It is made from stainless steel and features a patented center plate structure like proportioned prong placement for highest efficiency. The solid closure plate makes it easy to clasp the collar around the dog’s neck and clip it to the leash. You can easily adjust the size of this collar regarding your dog’s neck by adding or removing links. Usually, prong collars are long enough and effective for thick coated dogs but completely safe to prevent injury. Many pet proprietor reviews about the quick result of the collar mean how quickly it helps to change their dog’s behavior. For very large dogs you may need to collect individually some additional links to adjust with the dog’s neck. Conceptually, it is similar to prong collar allows you full control of your pooch by spreading out the pressure around dog’s neck when tightened like traditional collars. Rather than metal links martingales made from nylon webbing and have no prongs. It is considered as the safest correction collar helps to prevent your dog from aggressive manners. Moreover, this collar is designed to keep your dog from slipping out when they bolt after a squirrel. It is especially effective for small and large dogs that have thick necks like Italian Greyhounds breeds. 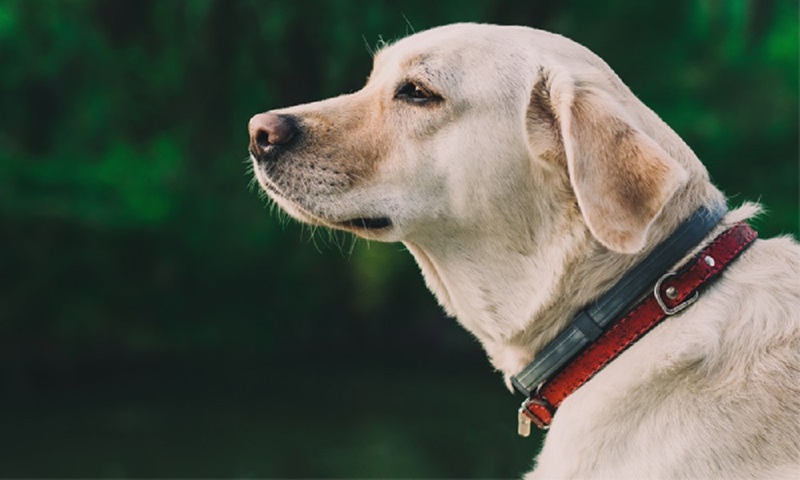 The martingale collar is most suitable for almost every dogs and regular use of this collar takes away the risk of the dog breaking out of ordinary collars. This wide martingale collar is designed with two loops of webbing where one loop wraps the dog’s neck and other controls how far the collar open or close while your dog pulls. It is renowned for its unique style, quality, and durability. The Neo collar is best suited for large dogs and recognized as the most standard collar in the industry for its comfort and functional level. The construction makes it incredibly sturdy, durable, sporty, waterproof and rustproof. It radically reduces the odors won’t absorb oils so that easy to clean and quick to dry. In this collar, the soft rubber neoprene is reinforced with nylon webbing for more strength. The rolled edges are soft and provide a soft comfortable finish against dog’s neck. Like other collars, the hook and loop adjustments help to make the proper sizing. The quick release buckle offers the easy-on and easy-off facility. This classic collar comes in a separate built-in ID Clip to firmly attach your dog’s tags. It also provides a strong rugged Stainless-Steel D-ring for secure leash attachment. The integrated reflective piping allows greater visibility in low light conditions to enhance the safety at nighttime around your dog’s surrounding. The puptech Basic collar is special for small dogs of different sizes who are in between one to eight weeks old. It comes in two different sizes; small and medium. The small size adjusts between 7-10 inches neck size and the medium size adjusts between 9-12 inches necks. Puptech collar is made of pure nylon material and quite comfortable for specifically young puppies. At the beginning of life, puppies have soft and sensitive skin, and owners should be careful about using collars. Puptech made the collar more snug and comfortable for puppies. It is properly stitched and edges are completely finished to save your pooch’s sensitive skin. The durability of the collar holds up against all the biting and pawing of puppies. It also contains a BREAKAWAY plastic buckle for a clasp. Breakaway means the buckle automatically open when it receives extreme pressure. Actually, it’s a safe idea to protect your dog from danger. Moreover, a durable metal D ring is included with the collar used to hold a leash but you can hang an ID tag and a leash on the D ring if necessary. The Pawtitas reflective collar is ideal for growing pups. It is extremely flexible, made from thin, soft nylon and ambient light to provide maximum visibility in the low light conditions or deep darkness. Though the collar is highly reflective the brightness actually depends on the used color. There are a wide variety of colors and some colors generate higher reflection than others. Especially the inner part of the collar is quite soft and comfortable enough to save your dog from skin irritations, scratches or chaffs. The properly sewn edges also relief dogs from injury. The manufacturer designed this collar ergonomically with easy functionality which helps for easy walking, running or outdoor using. The collar uses a black plastic buckle which is strong enough to withstand the pressure of frequent handling. The metal D ring attached with the collar and used for hanging the leash. It is rust and tarnish resistant and contributes to the ‘overall water safety’ of the collar. The ring also located nearly the buckle and helps to avoid pressure around the dog’s neck and makes the collar to wear more comfortable. The dog collar is a piece of material put on the dog’s neck to identify and control its movement. It is the most common form of directing and training dogs. Sometimes collars are very useful to guide dogs manually, as they offer a handle for seizing. Few collars come in identification tags and medical information helps to identify the dog and if it gets lost. Some cases collars are used in conjunction with a leash and work as a common alternative to a dog harness. Safety comes first! So you have to ensure a well-made, reliable, and secure collar for your dog’s optimum safety. Analyze few issues like used materials, size, weight and type regarding your dog breed to maintain the quality level. You need to aware of the ring of the collar which should be made of durable metal and securely fastened to it. A collar with desire length is also mandatory for proper fit on your dog’s neck. You also have to know how to wear the collar and the accurate position for a comfy and snug fit. In case of loose fit, the dog’s head may easily slip out and a tight fit may hurt on trachea and cause of death. So don’t be confused to choose a quality collar with their proper use. Dog owners know the importance of “Dog’s ID” if they lost their pet. Securely attaching the identification information to your pet’s neck diminish the possibility of getting lost even it decides to go on a solo adventure. In this regard, dog collars are the universal tool where you can attach the microchip which reserves your dog’s overall identity. It provides the facility to get your dog back faster when the ID Tag contains the detail address and phone number. Since the essential identification tag hangs on the dog’s collar, so you should sincere about the quality and reliability of the collar. Without wearing collar a dog seems to be a stray or feral and deserves less importance when need to help it at all. Along with security and identity tag, dog collar is also used as a fashion accessory. There are lots of design and don’t mistake to choose the best suit regarding your dog’s dresses. In the special occasion, sometimes a fashionable collar helps to present a lot about both you and your dog. Most of the luxury collars are not made for durability, so if your dog is a bit rough and aggressive then avoid this collar. Actually, a well-behaved dog deserves fashion accessories. It is compulsory that the collar should be soft and smooth and totally free from harsh chemicals which can tease on your dog’s neck. Leather and nylon are the basic sources for the primary construction. Sometimes polyester and other synthetic materials are also used. You will get the preference regarding your dog’s requirement and get the privilege to select the material you want for your pet. Sturdiness is another vital attribute of dog collars, especially for aggressive chewers. Few dogs found the collar more palatable than its regular chew and destroy it by chewing aggressively. So you have to look out for maximum durability so that it lasts at least several years. Be sincere about leather collar because it can crack and harder to clean. Synthetic collars dry faster and absorb odors. That’s why a quality collar should be flexible, lightweight and chew proof. It implies the strength and structure of the collar. Usually, metal collars are heavy in the weight and not suitable for small breeds. Leather collars are more durable than nylon and create more pressure on dog’s neck. So, always choose strong durable but lightweight collars so that your pooches don’t feel tired to enjoy the training session. Moreover, thicker collars are heavier and consume more weight can hurt your dog’s trachea. It is the vital consideration you should think before buying a collar. Larger dog breeds like Boxers or Bulldogs would do better with collar. But most of the time it would very hard to sort out the suitable collar for smaller breeds such as Yorkies or Chihuahuas feel trouble to adjust with various collars. For outdoor walking, it is safer to use a harness than a collar. As a training tool, the collar is more popular for a specific dog breed. Proper size is the basic concern for an ideal dog collar. So, before purchasing, sort out your dog’s measurement to determine the appropriate size of the collar. For a 14 inches neck order a 12-16 inches collar to fit snugly. Select a small with for pups and thicker with for larger dog breeds. It is more comfortable to wear a wider collar because it distributes the pressure across the larger area of your dog’s neck. There is no permanent size which may the best for your dog but you have to relate to your dog’s neck with the best quality collar. There are some important safety tips you should remember for dog collars. Here, we have listed a few tips you can follow to stay your dog safer. Ensure the collar you choose is properly sized regarding your dog’s neck. Too big collars can easily slip out and those collars are so tight can hurt your dog’s trachea also cause of breathing problem. Don’t use a prong collar on puppy’s neck because it can damage to the throat and spine. Never use a collar to your dogs for all the time. It disrupts the normal life of the dog and can damage their necks. Manage a collar which fits with your dog’s lifestyle. If the dog likes to spend most of the time in the water, then picking out a leather collar should not be a good idea. Choose a type of collar which works best with your dog’s personality like a nylon collar that allows the dog in water and playground without any disruption. Always try to keep the collar clean and check for damage to the buckle, or the longevity before tears itself. Don’t use a training collar for 24/7 if your dog has not aggressive behavior. There are various styles, colors, and effective feature of collars on the market and really it is a big challenge to find out the desired one based on your dog’s nature. We hope our detailed product reviews and buying guide will help you to make the right selection. Actually, authentic information assists you to narrow down your choices easily. During the choosing time, remember your dog’s demands and personality so that you could be enough confident about the collar that will work best and be around your dog’s neck for a long time to provide proper training. If you feel, consult with professionals about your choice and take the necessary guideline to use the device properly. Question: What’s the best collar for an active dog? Answer: If your dog loves to go with outdoor activities, running on the ice or hill and spending time in the swimming pool, then you should collect a hard-wearing collar which is easy to maintain after using. In that case, Neoprene is probably the best choice because it performs very well in water, mud and heavy use. A machine washable collar is most suitable for the pooch who likes to play in the mud. Question: Can I buy a collar for my growing puppy? Answer: It’s a big challenge to wearing a collar and walking on a leash for your small canine. In this case, a collar should be soft, thin, lightweight and much big for best suit in its neck. Don’t be strict on your pup after wearing a collar because it may seriously injure him. Question: How to Found a Dog Collar? Answer: It is not hard to choose a dog collar. Basically, you should remember a few factors while purchasing a collar like the size of your dog, his or her age, breed, sensitivity, behavior, choice and comfort. The style could be also a considerable issue when your dog behaves like a fashion lover. Question: How to measure the proper size of a dog collar? Answer: The wrong size can create a big problem for both you and your dog. Too large may slip out from your dog’s body and too tight may badly injure your pooch. So, how can you get the right size? Normally, you have to measure your dog’s neck by using a tape to get the actual size. Moreover, here is a common list of collar measurement. Question: Does a dog collar can hurt on my dog’s neck? Answer: Actually, pulling on a collar is not the actual cause of harm your dog immediately. It helps to train your dog and get them back in line. But sometimes it may cause of your dog’s neck injury when pulling or running fast to the end of the leash. The top pick works great!! Really awesome – i go with my dog in salt water pretty much daily in the summertime and with a rinse the collar has been fine.